The 2017 Shanghai International Automobile Industry Exhibition was one of the stronger auto shows of the past season in terms of design concepts. 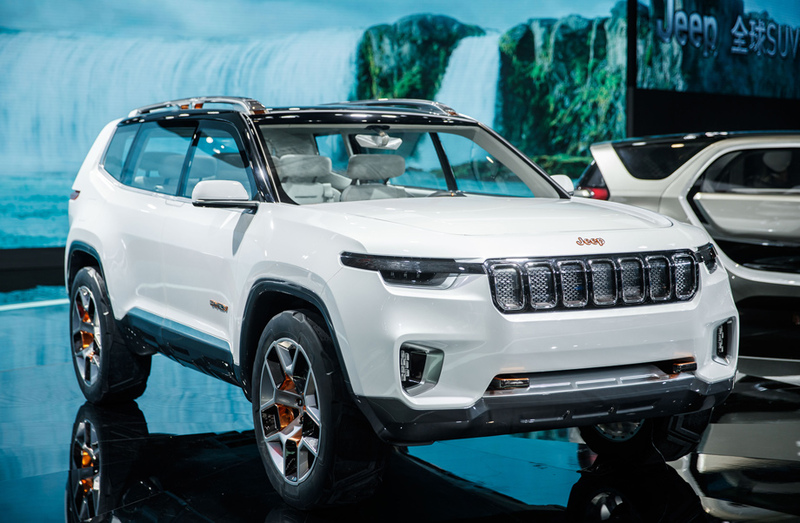 Here’s a roundup of the most significant introductions at the Shanghai auto show, which for the most part all tended towards electrified power. 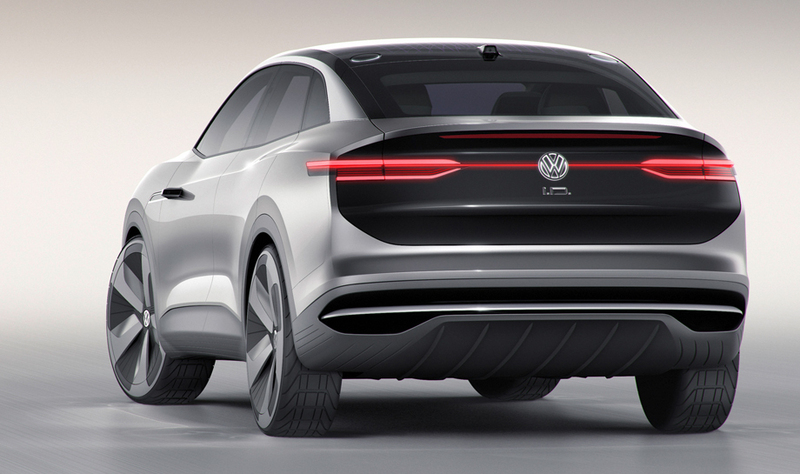 Volkswagen is continuing to show their commitment to producing electric vehicles in the near future following the ‘dieselgate’ scandal. The I.D. 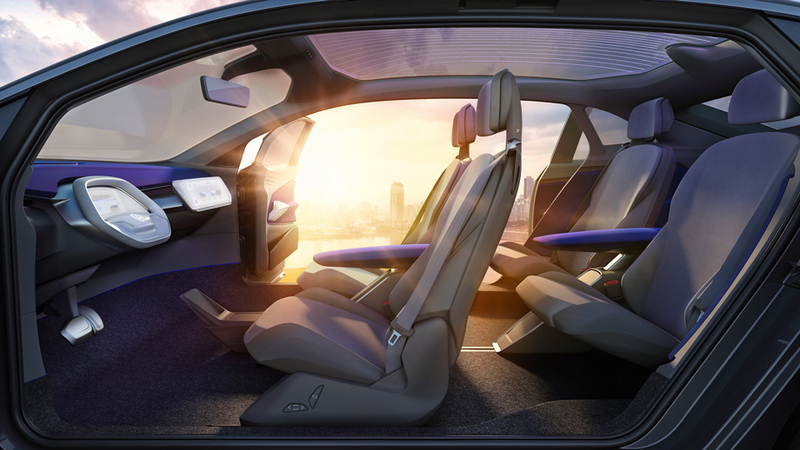 Crozz Concept is the third EV vehicle idea VW is showing following the I.D. hatchback and I.D. Buzz microbus. The I.D. Crozz is a crossover utility vehicle with a proposed range of 310 miles per charge. It is all-wheel drive and has an autopilot driving mode. 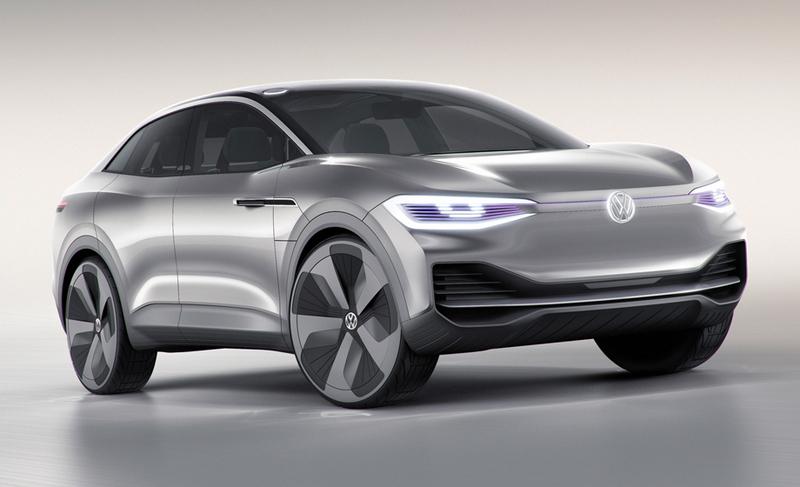 VW says a production version of the Crozz is due in 2020. 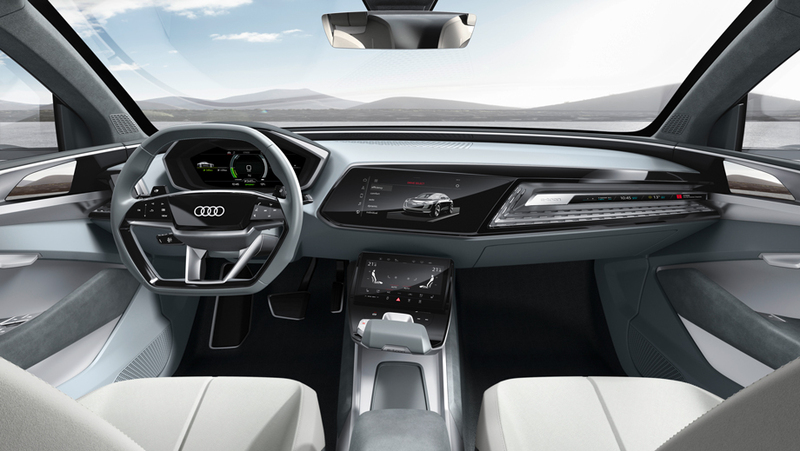 Audi is one automaker among many that want to compete against Tesla. 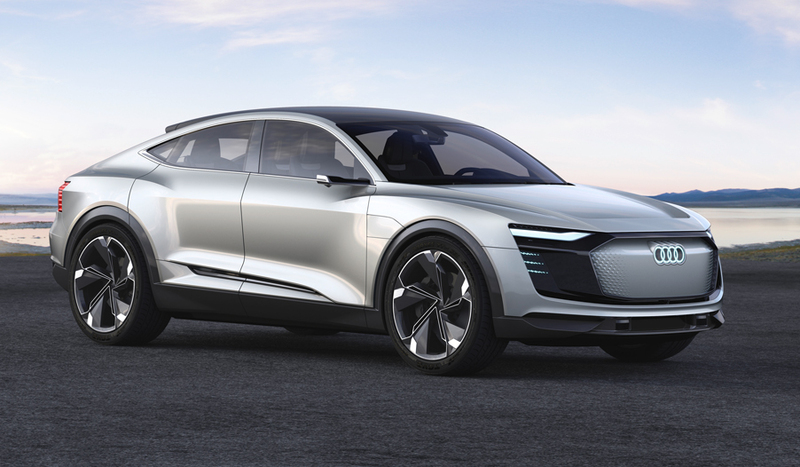 Their first e-tron SUV is due in 2018. 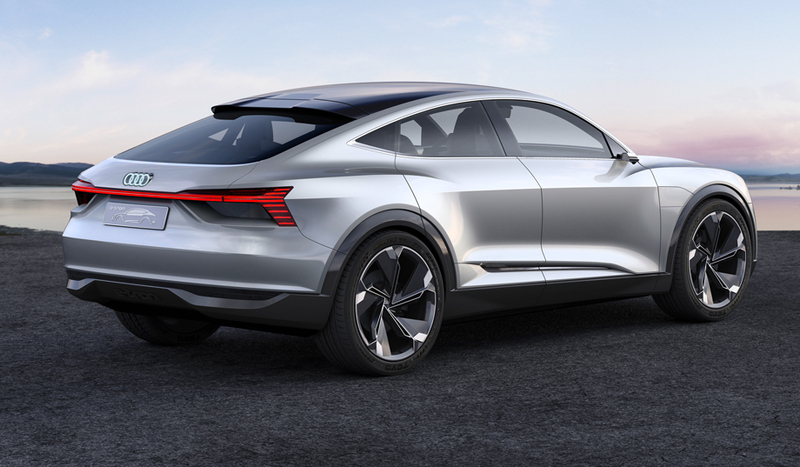 The e-tron Sportback Concept is a preview of a coupe that is slated for 2019. 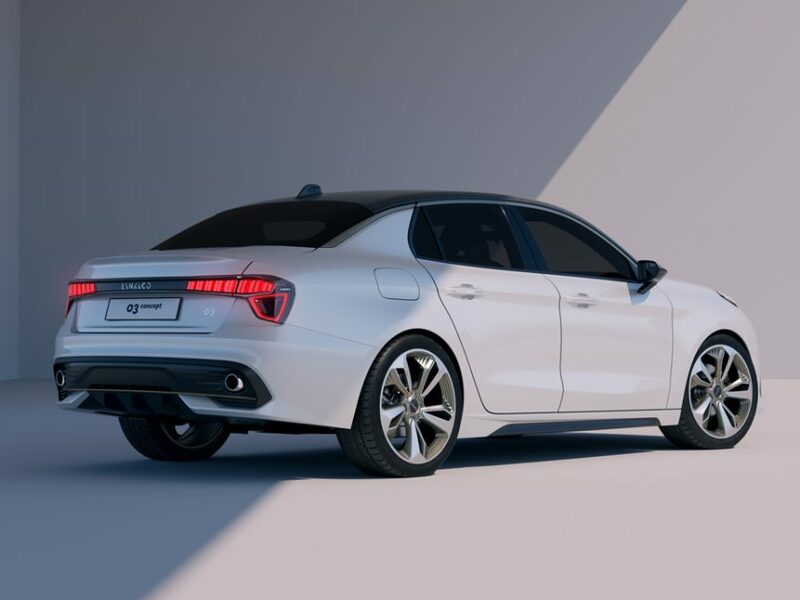 The design shows Audi trying to resolve the lack of a distinctive radiator grille, which is a defining character element on many gas powered cars. Rather than smooth whole front end over like Tesla, they’ve gone with a solid panel surrounded by a black frame containing smaller air inlets. It is an interpretation of their current Singleframe grille that looks pretty good. The sculptural body sides and new taillight graphics are some additional interesting styling touches. 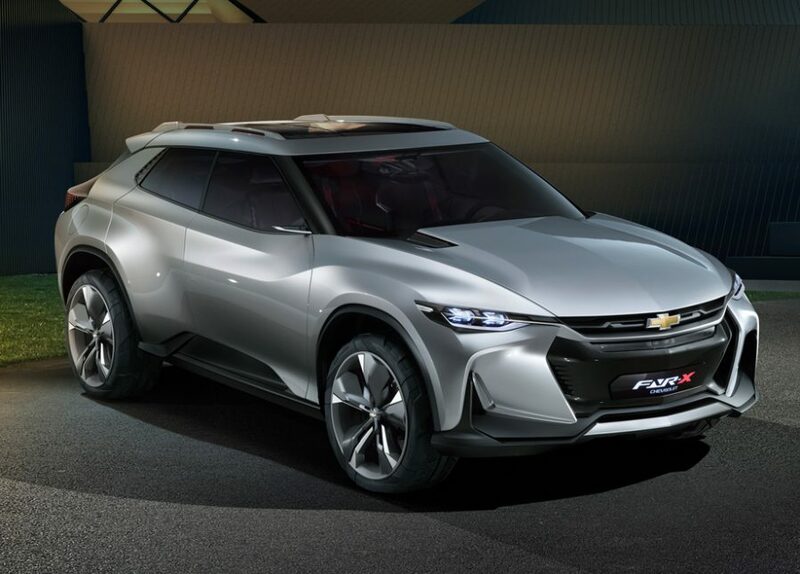 Chevrolet’s FNR-X (Find New Roads) is a design study created by the Pan Asia Technical Automotive Center based in China. 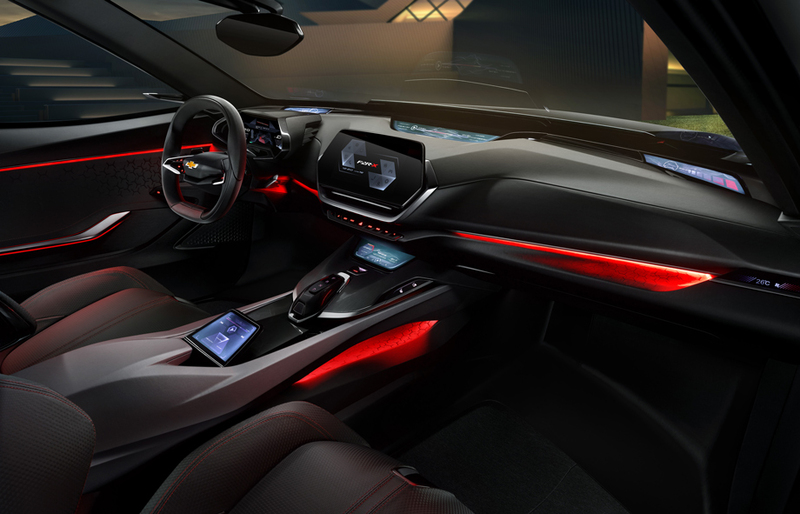 This is the second concept car PATAC and GM have collaborated on. The FNR-X is a plug-in hybrid all-purpose sports concept vehicle. 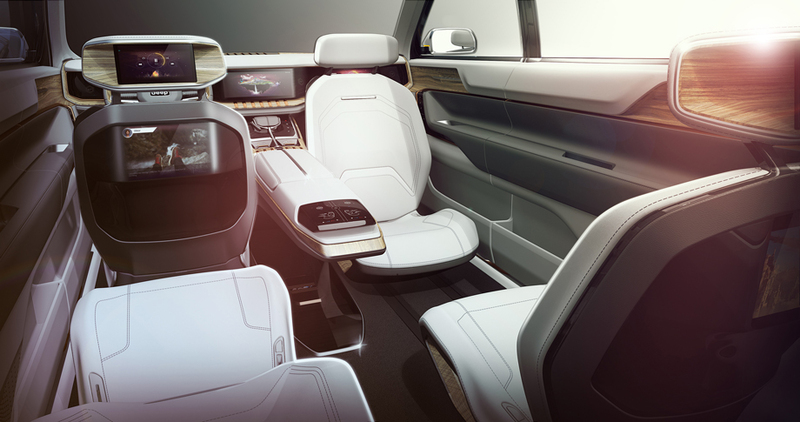 The design includes elements of Chinese culture including taillights inspired by traditional Chinese woodworking details. 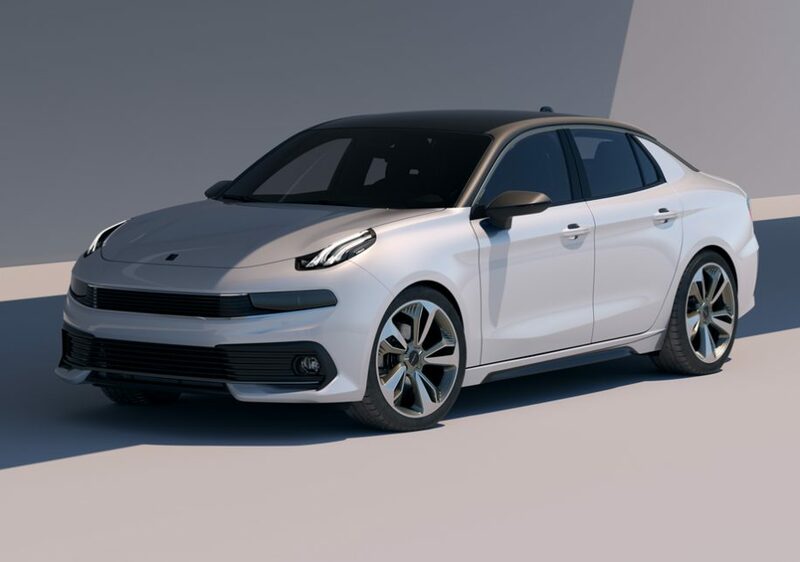 In addition to making their brand debut in Shanghai, Lynk & Co revealed the 03 Concept, a mid-size sporty sedan. 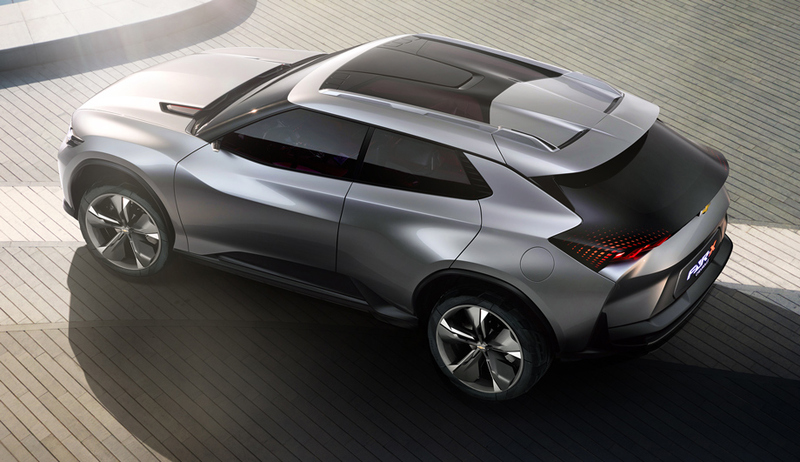 The design follows much of the same shape vocabulary as their 01 SUV and has curiously tall body proportions. Details about the 03 Concept are scarce but from the single fuel door and twin tailpipes, we can assume this is a traditional gas powered car as shown. 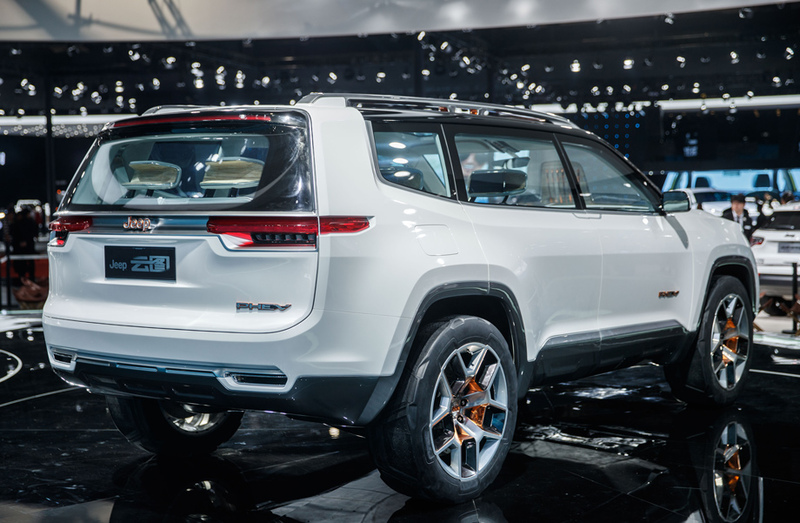 SUV are not only popular with American consumers, they represent the fastest-growing vehicle segment in China. Jeep’s Yuntu Concept explores a futuristic take on a Grand Cherokee-sized SUV. The Yuntu is powered by a plug-in hybrid powertrain which is a first for Jeep. 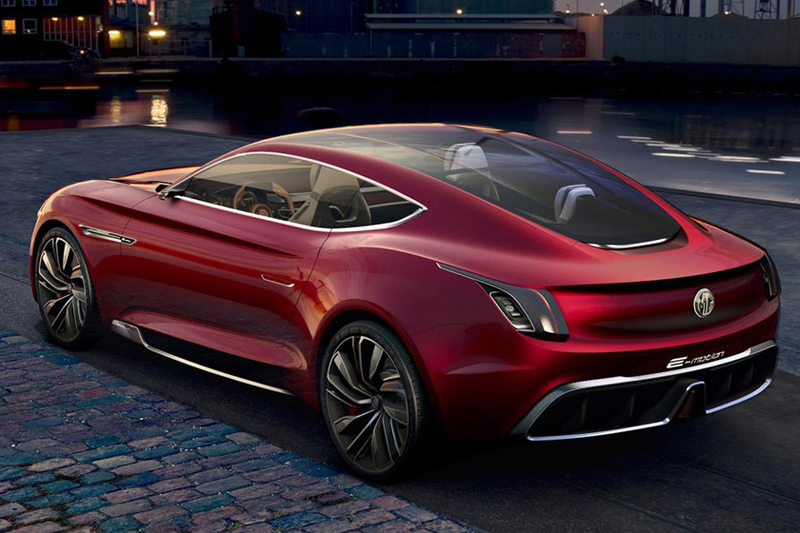 The formerly British, now Chinese-owned MG brand unveiled a sleek sportsback supercar concept. 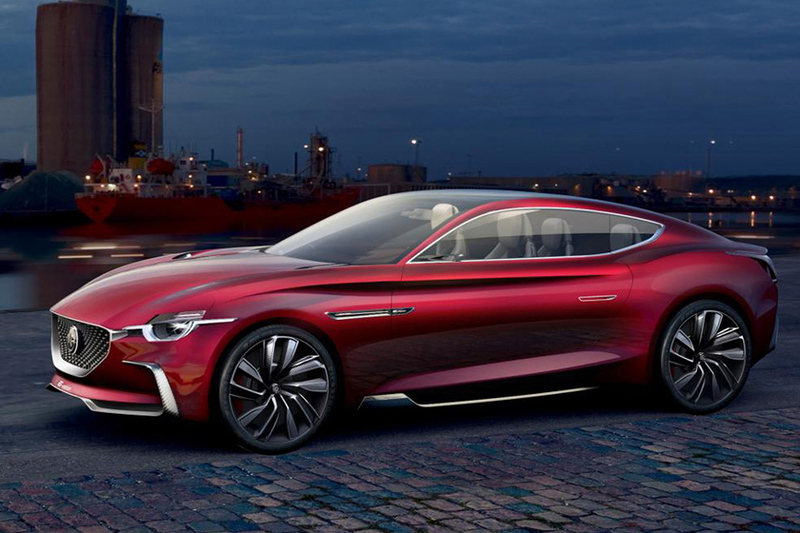 The E-Motion Concept is a plug-in hybrid capable of more than 500km or 310 miles of range on electric MG says. The design includes some interesting details like a fully transparent roof.